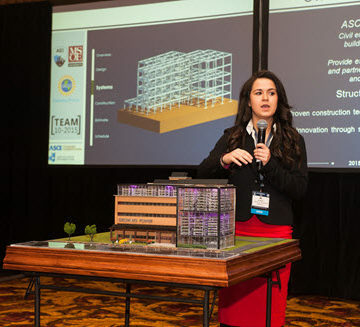 The Student Design Competition is a key component of the AEI Forum, scheduled for March 31 and April 1 in Worcester, MA. Moses Ling received an email the other day from a former student, recalling her experience in the Architectural Engineering Institute’s Student Design Competition. The technical program will feature nine industry expert keynote lecturers, including Structural Engineering Institute President David Odeh, followed by interactive breakout sessions allowing for dynamic discussions and information exchange among Forum participants. The student competition welcomes teams of as many as 10 students, putting together time-intensive projects. Many schools incorporate the competition into their senior capstone projects. This year’s competition set students about putting together integrative-design solutions for an actual 17-story building in Boston that is under construction. While the Student Design Competition highlights the future of the industry, the AEI Forum is also a showcase for the finest work being done in the present. 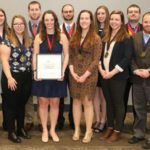 The Professional Project Awards banquet and awards ceremony is April 1, with Awards of Excellence in seven categories, as well as two awards each for most innovative project and best overall. 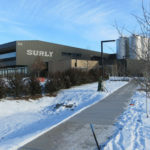 Grottenthaler called this year’s crop of submitted projects “probably the best we’ve ever had.” Certainly, it’s a diverse group with an art gallery, a net-zero-energy school, a research facility, a raceway, and even a brewery among the submissions.